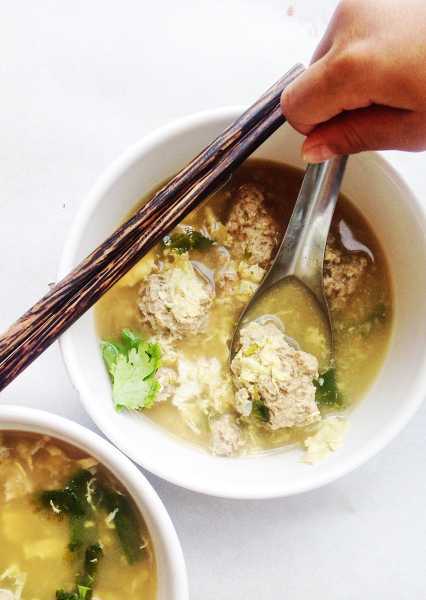 “I want soup!” My Thai Hubby said last week while I was writing our weekly menu for the week. I wrote down what I would need for Thai Egg Drop Soup and everything else for the week on my grocery list. The second I opened the door to head to the grocery store, the Austin 101 degree heat engulfed me, and it felt like I was walking into an oven that was inside a sauna in the middle of the sun. But how hot it is outside isn’t factored in when Thais eat soup because it’s always hot in Thailand, and many Thais eat some kind of hot soup everyday. 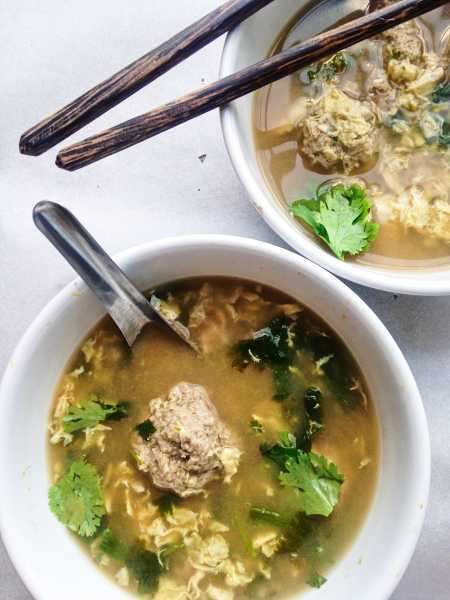 When I lived in Thailand, at first I didn’t like eating soup on a hot Thai day because my American mindset connects soup with cozy, cold, cloudy autumn or winter days. But not in Thailand. I remember sitting in Dom’s hometown in Sukhothai at an outdoor stall that served Thai Egg Drop Soup. The weather was 110 degrees with 100 percent humidity. We found a spot somewhat sheltered from the blazing sun under a tree, and slurped up the hot broth, while sweat oozed out of every pore in our skin, soaking our freshly-washed shirts, and sliding down our legs making puddles on the ground. But we barely noticed the heat or sweat puddles because we were savoring every sip of our Thai soup. There is something magical about Thai food that no matter where you eat it or how hot or cold the weather is, it’s always satisfying, cozy and delightful. Just like this Thai Egg Drop Soup! It has such heart-warming flavors: cilantro, green onion, easy meatballs, and eggs, and I adore how quick it is to make! In just 30 minutes I can have dinner from prep to table, and have a little extra time to rest and snuggle my kids before my Thai Hubby walks through the door ready to eat. Make it today, no matter the weather! 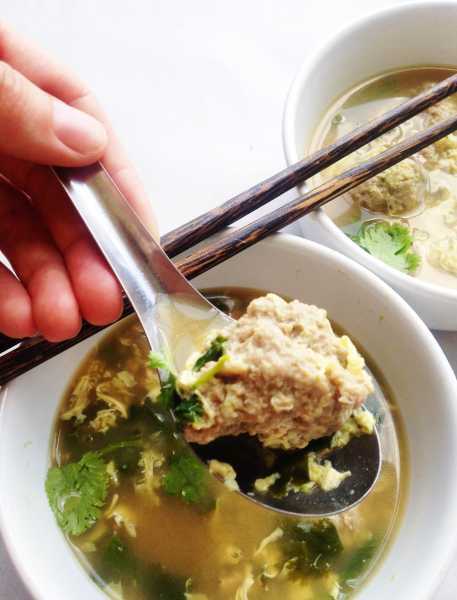 Thai Egg Drop Soup has such heart-warming flavors: cilantro, green onion, easy meatballs, and eggs, and is the perfect quick, weeknight meal! Mix the oyster sauce, white pepper powder, cilantro stems, and garlic with the ground pork, and roll into meatballs. Once the broth is boiling, add the meatballs to the broth. Once they have popped up to the surface, they are cooked through. Turn the heat to medium-high. Mix the eggs, and add to the soup around the edge in a circle. Once the eggs have become a yellow cloud, turn off the heat. Add the cilantro, green onions and mushrooms sauce to taste. 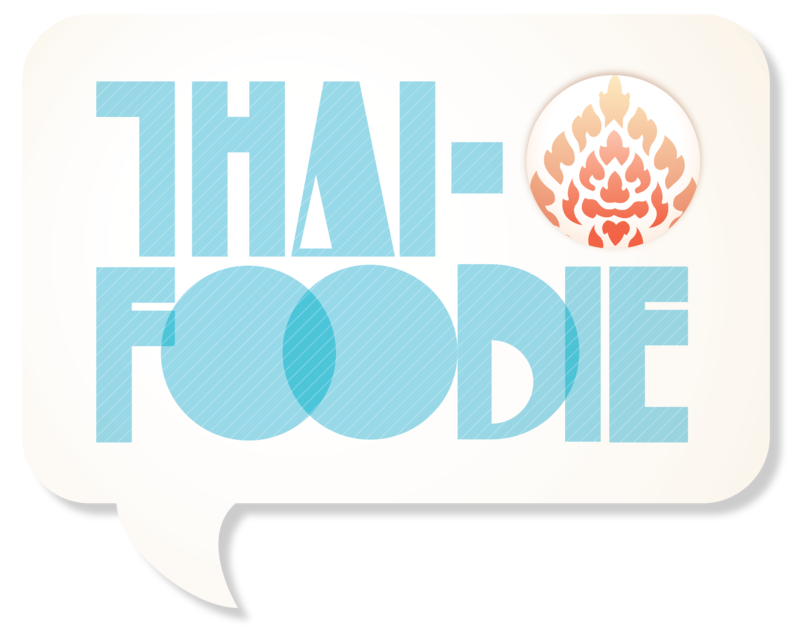 Enjoy alongside jasmine rice and other Thai dishes you love! Don’t forget to pin it up for next time! !